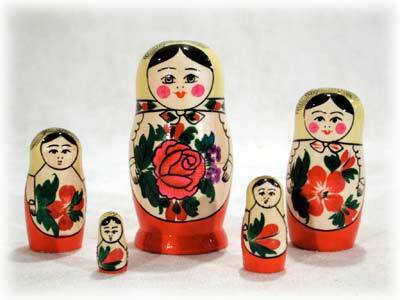 Home / Category Name: Nesting Dolls, Category Path: Nesting Dolls / Semenov Doll 5pc./4in. Traditional Semenov dolls are a study in graphic simplicity a folk style that has endured over the decades. Offered here in 5-piece version it’s the perfect doll with which to introduce a favorite youngster to the joys of matryoshka collecting!